Bevin's goal is to make all horses I work with safe, obedient to the aids, and happy. She wants your horse to be a pleasure to ride and spend time with. Horses are trained using Classical Dressage methods and principals as well as ones she has developed over the years. Length of time for each session depends on how the horse is coping with what he/she is being asked to do that day as well as other considerations the trainer may deem as appropriate. Travel is $0.40 a mile from my home in Dunnellon, FL and back if I need to travel to you for lessons and/or training. 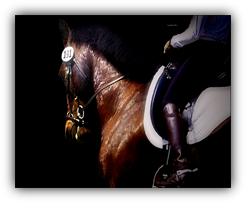 * Training is based on the horses experience and comfort level.